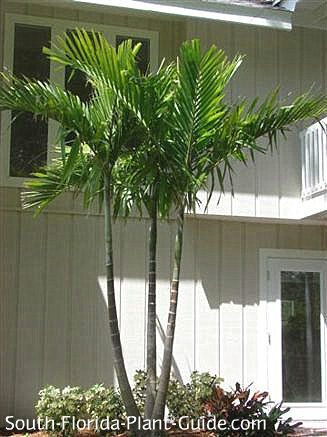 The picturesque alexander palm is a larger palm that can be used in smaller spaces because of its sleek, elegant form. The alexander has a "head" that's a more moderate-size scale than some larger palms, allowing it to be planted in fairly narrow spaces. It's sometimes called "Solitaire Palm" because it's solitary in nature (meaning it only grows one trunk). But this pretty palm shows off to best advantage with multiple trunk specimens for bigger landscaping impact. Occasionally confused with the alexandra palm (Archontophoenix alexandrae) - a relative of the piccabeen palm - the alexander is a more commonly used landscape palm. Self-cleaning palms like the alexander are highly prized for ease of care since aged fronds fall off by themselves. The fruit produced by a mature palm is a good food source for birds. Alexander palms grow to an ultimate height of 20 to 25 feet, and prefer full to part sun locations though they'll grow just fine in part shade. They do best in warmer areas - Zones 10A and 10B - especially when they're placed in a spot that's protected from drying or cold winds. This palm is a moderate grower and can even be grown indoors where there's enough height and light to let it thrive. Alexanders are moderately drought-tolerant once they're well-established. Use organic peat moss or top soil as a soil amendment when planting an alexander. Fertilize three times a year - in spring, summer, and autumn - to keep the fronds full and deep green. Since it's self-cleaning, you won't have to worry about removing dead fronds when the palm is tall. Water on a regular basis. Because of its slender gray-ringed trunk and the moderate scale of the head, an alexander can be planted in a small yard - and in close proximity to the house as an architectural accent. Plant 5 or 6 feet or more from the house, positioning multi-trunk palms in a way that makes sense for future growth. Avoid placements where the fronds touch walls. You can plant these palms as close as 3 feet from a fence or short wall provided the head of the palm clears the top of the structure. If you're planting a row of alexanders, place them 5 or 6 feet apart. Alexander palms are fine in large containers, and can be used as striking interiorscape specimens if they've been acclimated to an indoor space. 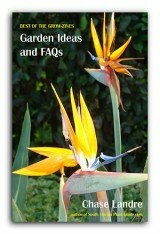 COMPANION PLANT SUGGESTIONS: Try a mix of heights and textures such as hibiscus with thryallis, hope philodendron with ruella (Mexican Petunia), and bush allamanda with dwarf clusia.